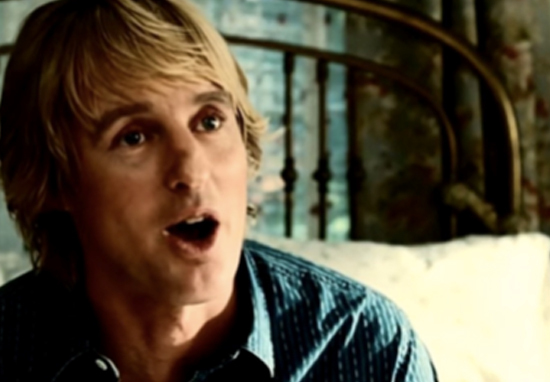 An event has been set up to invite a group of fans to stand and say ‘wow’ in classic Owen Wilson style. Yes, essentially, somebody has set up a group on social media to get a bunch of people together literally just to stand around saying ‘wow’. Set up by the page ‘Owen Wilson Wowposting’, the event promises a ‘massive group wow’ after a ‘hype speech’ beforehand, just to make sure people are really in the mood. The event, which has been called ‘Say Wow Like Owen Wilson At Federation Square’, is set to be held in Federation Square in Melbourne, Australia on February 26, according to the event’s Facebook page. ‘Say Wow Like Owen Wilson At Federation Square’ will kick off at 6pm with the hype speech, followed by some ‘warm-up wows’, and then the ‘massive group wow’ at 6.15pm. So far there are 4.2 thousand people who have responded as ‘going’ with a further 15k ‘interested’. But if there’s anything to learn from Facebook events, it’s that it’s not particularly accurate and when it comes down to it about seven people probably arrive. This will be then be followed by ‘kick-on wows’, but I have no idea what that even means. Let’s put some positivity out there into the world! Let’s marvel at the beauty and Wonder of this incredible planet we live on, and let’s WOW like Owen Wilson! Invite your friends! Crashing Weddings is so 2005, so let’s crash Fed Square instead! The event will be livestreamed, but this isn’t an reason for not attending, we still need as many wow’ers as possible! The greatest video ever.. "WoOw!" ?? According to Pedestrian TV, the group’s admin, Nicolas Zoumboulis had some lovely things to say about all the ‘wow’ reacts he was getting on the event post. I am happy to be able to create the platform for joy and positivity to be put into this world. We definitely need it these days, and I think people recognise that too, that’s why it’s been so successful. A simple and joyous ‘wow’, it doesn’t sound like much but as they say a picture paints a thousand words, a Wow says a million words. WWAAAHOWW… that’s the best I can do.